How many good restaurants does it take to make a scene? Definitely more than one, but where’s the tipping point? How do we know when a critical scene-defining mass has been achieved? So, I’m calling it. It’s official: Whitley Bay has got itself a proper restaurant scene. 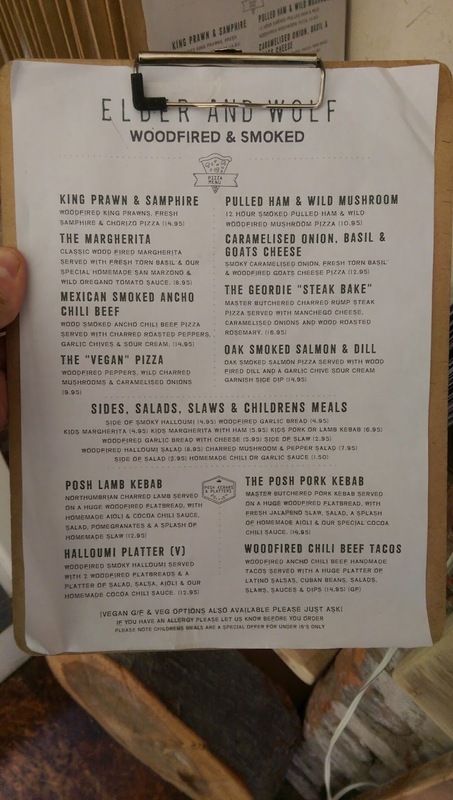 The grim stag and hen sessions that used to besmirch its streets are largely a thing of the past and in their place have sprung up an interesting range of food and drink businesses, places like Hinnies, The Roxburgh and Omni (yeah yeah, I know, Omni is actually in Monkseaton). Incidentally, it’s worth noting that The Roxburgh has now reinvented itself as a proper evening restaurant, rather than the casual but fabulous dog-filled café I first discovered. This means it justifies another Secret Diner visit – I hope the food will be just as good as my earlier experience. 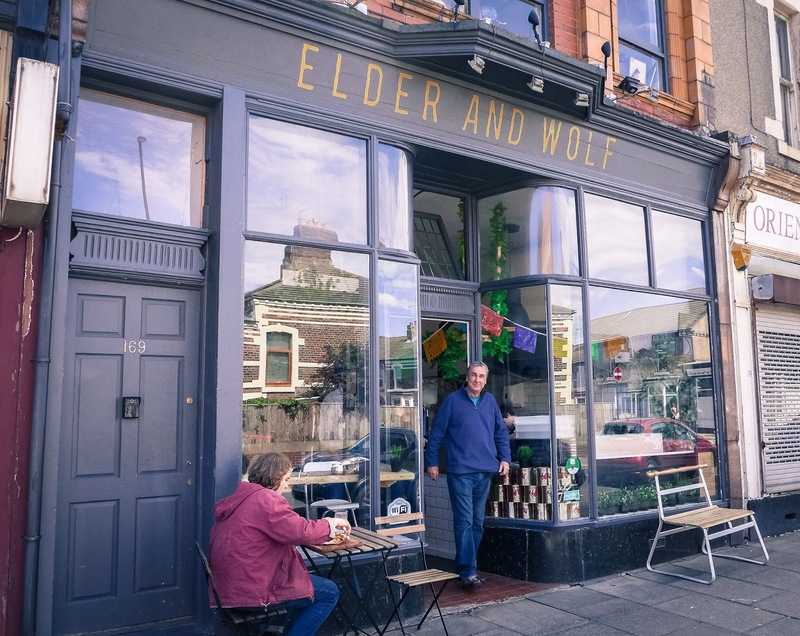 Elder and Wolf, open for about a year now, is a very nice place to eat, although not quite on the same level as its aforementioned neighbours on account of one troublesome issue: its bread. You see, pretty much their whole menu consists of things being served on, in, or near some form of flatbread. The problem is, their flat bread isn’t quite as good as I think they think it is. Furthermore, in a couple of cases it wasn’t the best type for the job. Take Mrs Diner’s “posh lamb kebab”. This was served on a flatbread the shape, and almost the size, of Cyprus, but it was crisp rather than pliable and thus ill suited to the job of scooping up fistfuls of meat and chopped veg. The way it shattered into shards at the first application of tension meant that it actually came between Mrs Diner and the enjoyment of her kebab. Which is rarely wise. 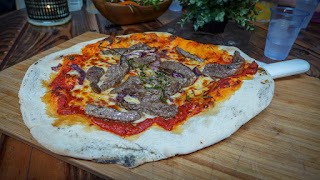 Then there was my “Geordie steak bake” pizza, the base of which hadn’t received sufficient charring from its wood-fired oven to render it remotely interesting. The dough tasted like it had risen fairly quickly, not having the character, or depth of flavour that I would expect from a sourdough or biga-powered effort. This was all rather a shame, because some of the things that came with that bread were delicious, generous concoctions – hence the restaurant’s three-star rating. 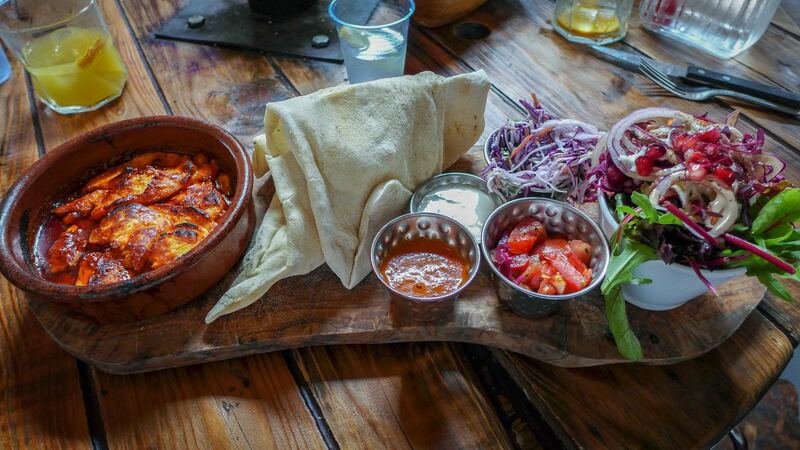 There are some excellent options for vegetarians, including a Halloumi platter that my friend chose. This tapas-style earthenware dish of everyone’s favourite squeaky cheese had been given depth and savouriness by the liberal application of smoked paprika. A range of accompanying salsas and sauces were bright, zingy and well made. 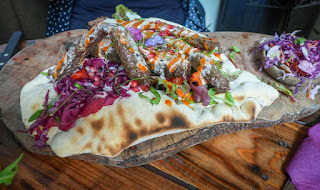 The aforesaid posh kebab was indeed a bit of an upmarket stunner, aside from its bread, of course, certainly a vast improvement on those enjoyed round these parts by the stag parties of yore. 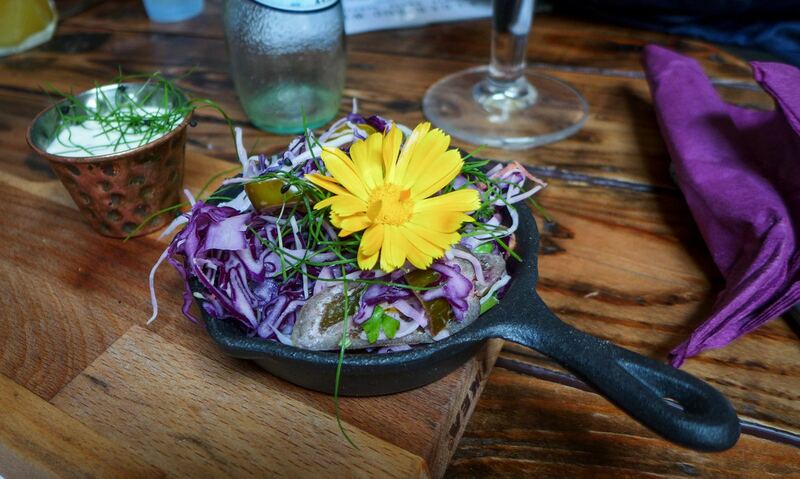 The spicing was deep and complex, but restrained enough not to bludgeon the ripe flavour of good quality meat. In case you’re wondering: yes, it came with garlic and chilli sauce. My beef pizza was certainly the weakest dish we tried. The meat may or may not have been of good quality, but the way it was cooked rendered it impossible to tell. It inhabited a sort of inverse Goldilocks zone: cooked enough to be grey and a bit chewy, but not so much as to have developed any char. 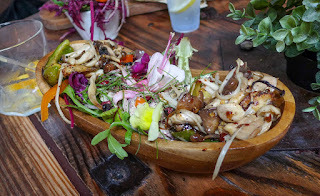 Much better was a side of charred mushroom and pepper salad, which arrived in a wooden canoe and was stuffed to the rafters with all manner of shoots, veggies and leaves, bound in a light but tangy dressing. 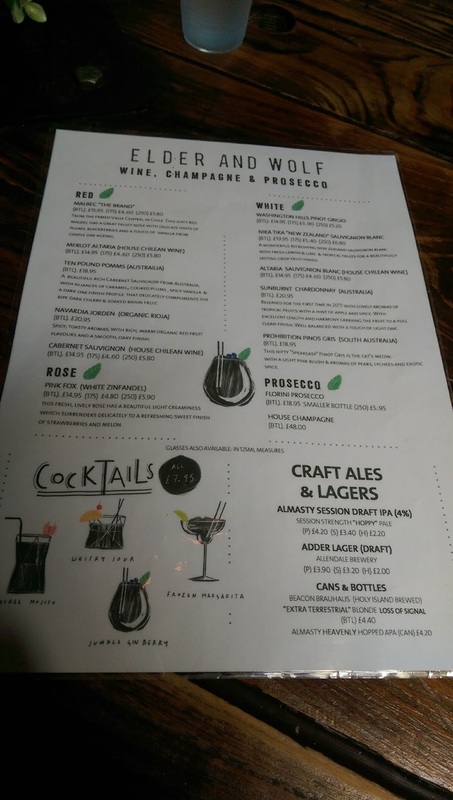 The choice of drinks was good. I enjoyed some superlative Draft IPA from local superstars Almasty, while Mrs Diner stuck to the soft stuff. A friend asked for a Bloody Mary, which they didn’t have the tomato juice for but offered to go to the shop to get some. We were charmed. Service, for the most part was nice, although occasionally a bit disinterested and I didn’t appreciate being charged eight quid for two small scoops of ice-cream - the only dessert available - an error not noticed until I checked the receipt later. At least the ice-cream was Di Meo’s, an excellent local product. In fact, prices here are a bit of an issue. My very average pizza was £16.95. 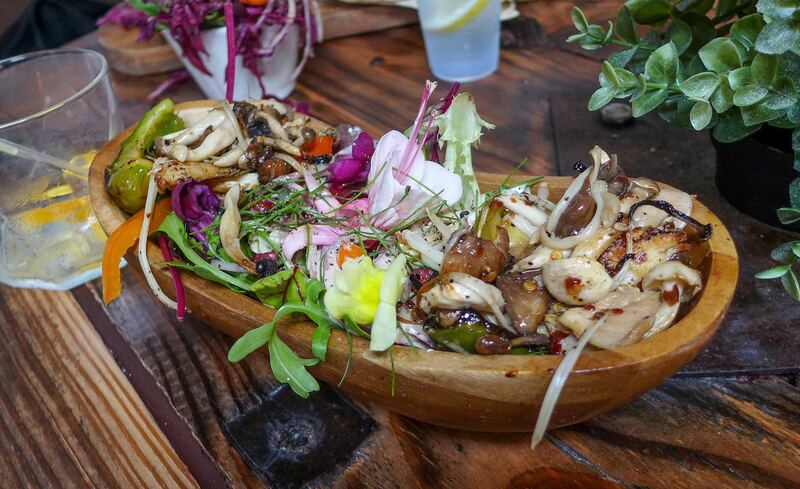 That side salad of mushrooms and peppers was really nice, as well it might be for £7.95. 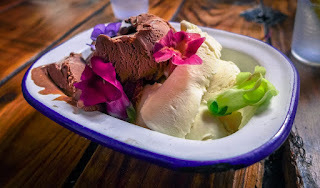 The portions are large, and everything arrives on massive wooden slabs, which makes it easy to overlook how much you’ve paid – until the bill arrives. Perhaps Elder and Wolf’s biggest selling point, and the reason I’d happily go back, is the place itself. On a sunny afternoon the main restaurant benefitted from skylights in the roof, while tables are handsome bare wood. 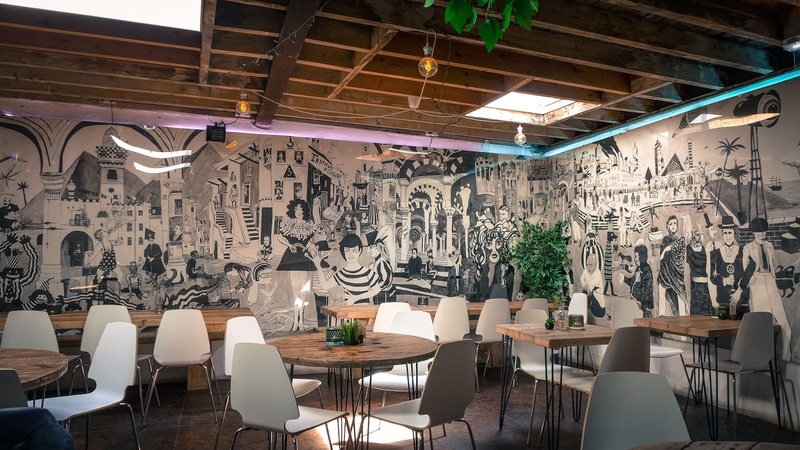 A fabulous black and white artwork adorns two whole walls. Music was an enjoyable mix of soulful and vintage hip-hop, perfect for a slightly fuzzy weekend afternoon. We never did find out who, or what, Elder is. Wolf, we were told, is the name of the owner's son. Which is cute, much like their restaurant. I don’t think any criticisms I might have will dampen their trade, which seems to be doing just fine, thanks to an appreciative local crowd. 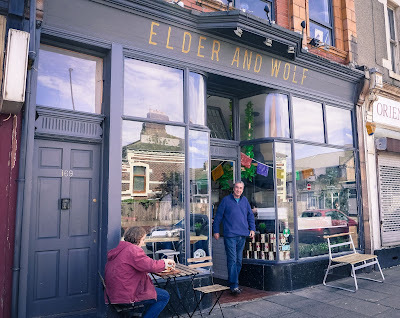 However, Elder and Wolf: you might like to try out some more flatbread recipes, really think about how the stuff you're serving works with the dish it goes with, get some killer bread and then I’ll really have a reason to look forward to sitting in your lovely restaurant again. Sounds like style over content to me!